Where can I buy cranberry products? Cranberry products including fresh, sauce, juice and dried can be found in grocery stores throughout the United States. You can also find more information on sourcing cranberries from our Suppliers List. Why can’t I find fresh cranberries year round? Fresh U.S. cranberries are only harvested in the fall and are available at your local grocery store from September through January. Fortunately, fresh cranberries can be frozen for up to a year, so remember to “buy one for now, two for later.” Additionally, some grocery stores carry frozen cranberries year round, so check your local supermarket’s freezer section as well. You can also purchase frozen cranberries online. Check our Suppliers Page for more information. What’s the best way to store cranberries? Fresh cranberries should be stored in the refrigerator in their original plastic bag for up to a month. You can also freeze fresh cranberries in their packaging for up to a year. For storing other packaged cranberry products including juices, dried cranberries or cranberry sauce, please check the label or contact the manufacturer. Can I freeze fresh cranberries? Yes! Fresh cranberries freeze for up to a year and can often be substituted in recipes that call for fresh cranberries. When cooking with frozen cranberries, do not thaw before using. Can I substitute dried cranberries in recipes that call for fresh cranberries? Yes, dried cranberries work well in baked goods; however there is a ¼ cup difference in measurement. If a recipe calls for one cup of fresh or frozen cranberries, use ¾ cup of sweetened dried cranberries. You can also rehydrate dried cranberries using water or cranberry juice for a more plump texture. Where can I find cranberry recipes? We have a variety of cranberry recipes and decorating ideas that can be found here. Many of our member brands also have recipes on their websites, which can be found here. Finally, the Wisconsin State Cranberry Growers Association and the Cape Cod Cranberry Growers Association have robust cranberry recipe libraries. Cranberries are grown throughout the United States mainly in Wisconsin, Massachusetts, New Jersey, Washington, Oregon. They are also grown in several areas of Canada and Chile. Can I tour a cranberry bog? Of course! There are many cranberry festivals during the harvest months. The Wisconsin State Cranberry Growers Association and the Cape Cod Cranberry Growers Association have more information on their websites regarding specific farms that offer tours in Massachusetts and Wisconsin. What is a barrel of cranberries? A barrel is an industry measurement and is equivalent to 100 pounds of cranberries. How did cranberries get their name? European settlers first called the plant “crane berry” because the flower and stem resembled a sand hill crane’s neck, head and bill. When did the commercial cranberry industry begin? How many acres of cranberries are there in the United States? 41,500 acres of cranberries were harvested in 2016. More U.S. harvested cranberry acreage information can be found here. Yes. A fresh, ripe cranberry will bounce when you drop it. Do cranberries grow in water? No. Cranberries grow on low-running vines in dry, impermeable beds layered with sand, peat, gravel and clay. These beds, commonly known as “bogs,” were originally made by glacial deposits. Bogs are flooded with water during harvest; it is this iconic image that causes many to incorrectly believe that cranberries grow in water year round. Yes. Cranberries have four air chambers inside them, which cause them to float to the surface during wet harvest operation. Cranberries are a unique fruit that grow and survive under a very special combination of factors. Cranberries grow on low-running vines in impermeable beds layered with sand, peat, gravel and clay. They require an acidic, peat soil, an adequate fresh water supply, sand and a dormancy period in the winter months that provides an extended chilling period, necessary to mature fruiting buds. 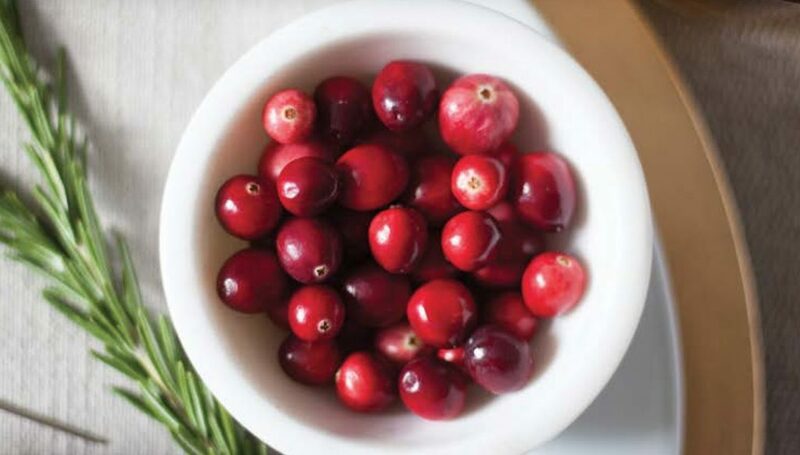 Cranberries are grown throughout the United States mainly in Wisconsin, Massachusetts, New Jersey, Washington, Oregon, and in several areas of Canada and Chile. How are bees used in cranberry growing? Cranberry flowers are not capable of self fertilization. Honeybees and/or bumble bees are required to move pollen from one flower to another. Several pollination visits are needed to ensure good berry development. Can I grow cranberries in my garden? Growing cranberries at home is very different than commercial cranberry production. Contact your local nursery for growing tips.